My wife and I took some time off this week to help our older son and daughter-in-law move from Washington, D.C., to New York City. The primary purpose of the trip was to bring back to our home in Chicago all the stuff that would not fit in their Manhattan apartment. So, supportive parents that we are, we rented a Dodge Caravan (with Florida plates), folded up all the seats, and headed east. My wife and I love New York. The food, the theatre, the energy — it all works for us. 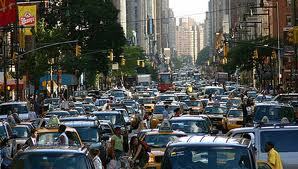 But despite having visited the Big Apple many times over the past 30+ years, we’ve never driven there and, more importantly, never driven in downtown Manhattan during rush hour. We’ve always preferred to let local cab drivers terrify us as they weave through traffic at warp speed. 1) Pretend you’re in Italy — New Yorkers are very fond of communicating with hand gestures. During our first few trips around town, there was one particular hand signal that was used quite frequently. As an Italian American, I was very comfortable with the “non verbal” communications concept and became quite adept at responding to the natives in their language. 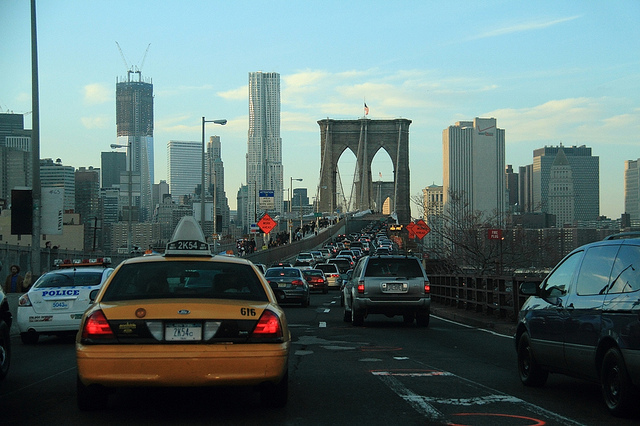 2) Avoid renting cars with Florida plates — Evidently, Floridians are not well-liked in New York. I was flashed the above referenced gesture many times WHILE I WAS PARKED! 3) Avoid renting Dodge Caravans — This vehicle sends a clear signal that “I’m from the suburbs and I don’t know what I’m doing!” You will become easy prey for aggressive New York drivers who seem to enjoy tormenting outsiders. One loud long blast (usually from the car behind you) — This means “the light turned green one nanosecond ago; how come you are not moving at 60 miles per hour by now? 6) Show them you mean business — At the end of the day, it’s all about respect. New Yorkers will exploit any perceived weakness, but if you show them you have a basic understanding of the rules (or lack of them), then even a guy in a Dodge Caravan with Florida plates can get around Manhattan with one hand out the window flashing signs and the other on the horn sending code. Joe, I love your story. Been there – done that. Having Florida plates on your vehicle means to a New Yorker that you are a likely a person from NYC living just enough of the year in the Sunshine State to gain Florida residency and avoid New York vehicle taxes. But you are still a New Yorker. A turncoat but a New Yorker nonetheless. Being originally from Massachusetts and having driven many times in NYC with Commonwealth plates on my car meant only one thing! I’m a Red Sox fan! Now THAT in New York City is a vehicular bull’s eye if ever there were one! I find that a Chevy Suburban that is clearly a rental from either Hertz or National is my preferred vehicle for Manhattan. New Yorkers are far less aggressive when their car is smaller than yours, especially once hand jestures have been exchanged and they understand you bought the collision insurance!